Air Technical Services Heating and Cooling is a leading air conditioning maintenance, installation and HVAC repair service company in Manahawkin, NJ. Since 1999, the team at Air Tech have strived to offer top-quality customer service for residents and businesses in Manahawkin NJ and the surrounding areas. Our technicians know how to keep your air conditioning units running smoothly so you stay cool all season long. Air conditioning is something you may not fully appreciate until you’re stuck without it. Don’t wait until a breakdown to realize how important air conditioning maintenance really is. Call in the Air Tech experts at 609-246-5905 to schedule now. 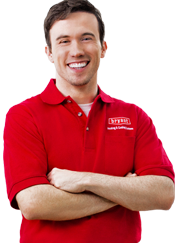 If you’re looking for air conditioning maintenance service in Manahawkin NJ you can trust, we’re here to help. From installation to maintenance to emergency repairs, our team of experts have the knowledge and experience necessary to provide service for all makes and models of air conditioning brands. At Air Tech, we are proud to offer our Manahawkin NJ customers a choice of different annual HVAC maintenance service plans that provide preventative support for the air conditioner, heater, hot water heater and plumbing. Air conditioning maintenance plan customers also receive priority status in the event repairs are needed. Our 10-Point Spring Start-Up includes the following service: adjust belts, oil all moving parts and change filters as needed, check controls, thermostats and test compressor amps for draw and overload, and more. We are committed to our work and our team of professionals continue to raise the bar so we can provide the best air conditioning maintenance services in the area. Call your Air Tech representative today to help you choose the maintenance plan that best suits your particular needs and budget. The experts at Air Tech have compiled a list of the most frequently asked questions about air conditioning maintenance to help you determine how to get the most out of your system. How often should I get my Air Conditioning unit serviced? Regular maintenance is essential for the longevity and efficiency of your unit. Depending on the age of your unit and how often you use it, normally we recommend at least one maintenance service per year. Typically scheduled “pre-season,” at the beginning of spring, although tune-ups may be scheduled any time of the year. What are the benefits of air conditioning maintenance? A well-maintained cooling system will run more efficiently. This not only uses less energy but also will result in lower cooling costs as well. With regular maintenance, you’ll also have peace of mind knowing that the chances of your unit breaking down on you during a heatwave are reduced drastically so you can enjoy a reliable air conditioner for many years to come. An energy-efficient unit also helps to protects the environment through sustainable living. How does air conditioner maintenance help me save? A well-maintained air conditioning unit works much more efficient than a neglected unit. Greater efficiency equals lower overall energy costs for the homeowner. In addition, when you take care of your AC with regular service, you will prolong its life-span and prevent future (expensive) problems. What are some of the most common air conditioning problems in Manahawkin NJ? The coolant gas starts leaking which can affect the unit’s capabilities to cool properly. The AC unit wasn’t maintained properly, resulting in a decreased lifespan, more repairs and lower efficiency. When it comes to getting the most efficiency and lifespan from your air conditioning unit, maintenance is a must. At Air Tech, we offer air conditioning maintenance on all makes and models, all sizes and types, all year-round. Call Air Tech at 609-246-5905 to schedule maintenance today.